Three of the Xbox 360's most famous titles have been made part of the cheaper 'Classics' collection, with Halo 3, Project Gotham Racing 4 and Mass Effect all now available for £19.99. Microsoft has decided to move three of its big guns into the classics range, cementing its place as the cheap option in the console wars – especially with the Nintendo Wii becoming dearer in the current climate. "We are delighted to add three of our finest titles to the Classics range, adding to the exceptional entertainment offering available on the Xbox 360 at outstanding prices," said David Gosen, Vice President of Marketing for Xbox Europe. "As we see more and more families looking to save money by staying in, Xbox 360 continues to offer high-quality home entertainment at fantastic value and consumers are clearly recognising this as we sail past 8 million console sales in Europe," he added. The three titles are certainly among the most recognisable to arrive on the console to date. 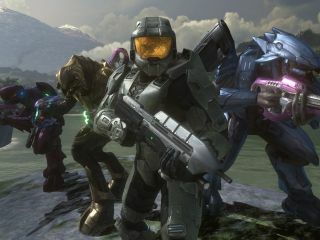 Halo 3 had a glittering red-carpet launch when it arrived in the UK, with the previous two Halo games the stand-out hits on the original Xbox. PGR is one of the most renowned racing games around, and Mass Effect brought role playing (and extremely slow lifts) to the console masses.